The flood of articles predicting what’s going to happen in 2012 has begun, so I thought I would throw in a small church perspective. 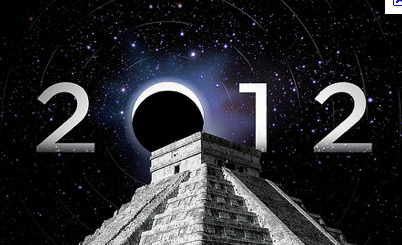 Interestingly, I think 2012 will bring us to a unique intersection of faith and politics. Religious pluralism. Your members may not use that phrase – “religious pluralism” – but their conversations will be sprinkled with talk about the rise of other, non-Christian religions in the United States. With Mitt Romney and John Huntsman running for the Republican nomination, Mormonism has moved into the public consciousness. Do we take the position that Robert Jeffress, pastor of First Baptist Church of Dallas, took when he publicly labeled Mormonism a “cult?” Jeffress was condemned roundly for his intolerance by other Republicans. Your members will want to know about Mormonism — particularly if Romney is the Republican nominee. Of course, Muslims are also a hot topic as Christians struggle to understand how we should love our neighbors, some of whom wear hijabs. Extremism. Many in media acknowledge that the popularity of conservative talk radio and TV news commentary has moved the country further to the right than it has ever been. Extreme views are now becoming mainstream views. Some of your members will applaud the rhetoric about arresting sitting judges, isolating our nation from international conflicts, and ending entitlement programs. Ron Paul’s blatantly racist 20-year old newsletters will continue to be an issue. Some will see no problem with them, while others will believe those views disqualify him from nomination. Extreme views are often fear-based, and designed to get media attention, but they find resonance in the frustrations of those who feel marginalized. As church leaders, our task is to let the Gospel inform our civic dialogue. Social economics. This year, politicians are not only touching the previously-fatal “third rails” of Social Security and Medicare, some are proposing ripping them up. Churches need to have conversations about the role of government and the local church in caring for the poor, hungry, sick, and incarcerated. Matthew 25 might be a good place to start because Jesus has some pretty harsh words for those who do not care for the “least of these.” The question for Christians is not should those on the margins of society be helped, the question is how and by whom. Your members will have a variety of opinions, and all of them strongly-held. Immigration. Alabama, Georgia, Arizona, and other states have passed tough anti-immigration laws. But in Alabama and Georgia farmers are complaining that their laborers have left the state out of fear. How does the story of the good Samaritan square with the actions of these states and of popular opinion? Some of your members may want to “fence them out,” but the Bible does have a great deal to say about “the stranger within your gates.” Balancing the rule of law and Christian hospitality can be tricky business. Hierarchy of beliefs. In 2012, evangelicals will face the challenge of having to rank their beliefs in a hierarchy of importance when making political choices. Which is more appealing to evangelical Christians – voting for a candidate who has been faithful to his marriage vows but who is a Mormon (or liberal Christian in Barack Obama’s case); or, electing a repentant serial adulterer and former evangelical-turned-Catholic? Of course, I’m not the first to point out the contrast between Romney and Gingrich, and some evangelical leaders have made their choices public. But, there are other areas in which we are being forced to choose one value over another, and these cut across party lines. For example, is President Obama’s use of drones to assassinate individual terrorists more or less acceptable than using U. S. troops in traditional combat roles, both of which result in loss of life? Does the sanctity of life extend from the issue of abortion to capital punishment, or is a convict’s life not included in that which is sacred? Your members will want to know if some of our Christian values should take precedence over other values when making decisions. These five issues provide church leaders with opportunities for discussion and Bible study. Of course, these are hot-button issues and emotions can run high even in church conversations, so tread carefully. But if we do not offer our members the resources to explore these issues in order to make decisions informed by their faith convictions, then we are missing an important opportunity. Happy New Year! This is the meditation I am sharing tonight for our community Lenten service. 1 When you have entered the land the LORD your God is giving you as an inheritance and have taken possession of it and settled in it, 2 take some of the firstfruits of all that you produce from the soil of the land the LORD your God is giving you and put them in a basket. Then go to the place the LORD your God will choose as a dwelling for his Name 3 and say to the priest in office at the time, “I declare today to the LORD your God that I have come to the land the LORD swore to our forefathers to give us.” 4 The priest shall take the basket from your hands and set it down in front of the altar of the LORD your God. 5 Then you shall declare before the LORD your God: “My father was a wandering Aramean, and he went down into Egypt with a few people and lived there and became a great nation, powerful and numerous. 6 But the Egyptians mistreated us and made us suffer, putting us to hard labor. 7 Then we cried out to the LORD, the God of our fathers, and the LORD heard our voice and saw our misery, toil and oppression. 10and now I bring the firstfruits of the soil that you, O LORD, have given me.” Place the basket before the LORD your God and bow down before him. 11 And you and the Levites and the aliens among you shall rejoice in all the good things the LORD your God has given to you and your household. Jewish life is full of storytelling. The Passover is the most well-known example, when the youngest child asks the question, “Why is this night different from all others?” Then, among other things, the story of the exodus from Egypt is told, very much like this telling we have just read. But our passage tonight covers a lot of territory. So, of course, my sermon was on the crucifixion, and I used the text of I Corinthians 2:1-2, where Paul says when he arrived in Corinth he was determined to “know nothing… except Jesus Christ and him crucified.” Which is a very strange statement when you really think about it, which I did. Thinking about the crucifxion and the cross led me to Martin Hengel’s small book titled, Crucifixion In the Ancient World and the Folly of the Message of the Cross. Which is an incredibly long title for such a short book of 90 pages. 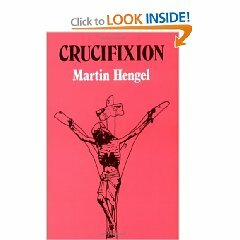 But Hengel, who died this year, packs more than you’d ever want to know about crucifixion and its significance into this brief work. Hengel was Emeritus Professor of New Testament and Early Judaism at the University of Tübingen, and specialized in second-temple Judaism. He traces the use of crucifixion from its invention by the Persians to its adoption by the Romans, who continued to describe it as barbaric. Roman literature considered the mention of this form of execution as too coarse for public sensibilities, and little was preserved in the more refined works of Graeco-Roman authors. When crucifixion is mentioned in ancient references, the descriptions are more horrific than even the depiction in Mel Gibson’s The Passion of Christ, which was rated R because of the brutally violent acts shown. Did you know, for instance, that…. Dead people, as well as the living, could be crucified? Crucifixion was one of three forms of capital punishment preferred by the Roman empire. The other two were burning and being torn apart by wild animals. Sometimes crucifixion was combined with one or both of the other methods. The largest number of crucifixions known at one time was over 500. Bodies were often left on the crosses to decompose and be consumed by wild animals and vultures. Jews were “scandalized” by the cross and crucifixions because of Deuteronomy 21 — anyone hanged on a tree was cursed by God. However, some in Judea liked the Roman system of justice because common robbers were crucified, and roving bands of robbers were a problem for rural Judeans. Early Christians were ridiculed for following a common criminal who had met his death by being stripped naked and hung on a cross. To wish someone a “cross” was to insult and curse them. Crucifixion was reserved for common criminals, and slaves who had attempted escape. The execution of slaves takes on new meaning when you read Philippians 2:5-11, where Jesus is said to have taken on the form of a “servant” which usually mean a slave. Okay, enough of that or I’ll have all 90 pages summarized right here. But the most enlightening chapter, which is also the last, was Hengel’s explanation of the Jews inability to believe Jesus was the Messiah. Add this book to your reference library. Disclaimer: You can get yours the way I got mine — buy it for yourself.